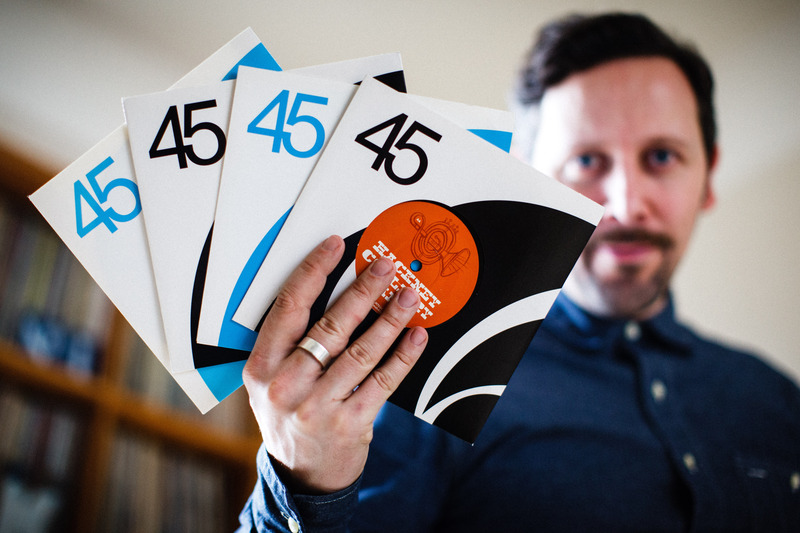 By 2019, London label Wah Wah 45s will have presented twenty years worth of soul and jazz records. Run by a dynamic duo of Dom Servini and Adam Scrimshire — supported by Delia Tesileanu and Matt Polly alongside director Chris Goss — Wah Wah 45s kicked off on their journey with parties at The Old Albany, where the Chemical Brothers also launched their careers. Within their twenty years, Wah Wah 45s have released records from Soothsayers, The Milk, Hunrosa and Hackney Colliery Band amongst others. The imprint is recognised for a relentless number of releases, with a discography that is uplifting and sincerely celebratory. Ahead of their twentieth anniversary in 2019 — a year in which they’ll announced two new signings, a new DJ residency and a number of fresh records of course — label head Dom Servini presents an exclusive mix, especially for Supreme Standards. We took the chance to ask him a few questions, too, taking him both back in time and into the future. \\ Tell us about the mix you’ve curated for us. I find it impossible to stick to one style of music when I’m DJing and this mix hopefully reflects that. Commencing with a little spoken word to set the tone we set off on an epic journey via an Argentinian take on UK dub / soul to deeply sonorous Chilean electronica born in the USA, delve into a little bit of harmless disco edit fun, then travel south of the border to Brazil, over to Benin, and back to the UK with a few fractured cosmic house bangers, before calming things down with some dreamy drums and ending up at the root of it all – the jazz. There are some Wah Wah 45s nuggets in there too of course, but not too many… I wouldn’t want to put anybody off listening. \\ Tell us the story behind how Wah Wah 45s came to be? Wah Wah 45s was born in 1999 out of the club nights that Chris Goss (Hospital Records) and his late brother Simon were putting on that had eventually found their home at The Jazz Cafe in Camden Town, North London. The idea of the label initially was to put out 45s (hence the name) that reflected the music they were playing in their sets — a canny combination of rare soul, jazz and funk with the new sounds that were coming out at the time. I joined their DJ crew the same year and was asked to become part of the label just after the first 45 came out and helped raise the label’s output to include emerging new artists and broaden the formats and styles we released whilst keeping to the original remit. After Simon sadly passed away in 2010, Adam Scrimshire (already an artist on the label) joined me to head up the label and bring us into the 21st century, with Chris taking on an advisory role due to his commitments at Hospital. \\ As a label, you also have a presence in radio and putting on events, too. Is there an element of the label that Wah Wah 45s plan to expand on? We love to work all the different aspects of the record label model, rather than just the ‘putting out records’ part — and let’s face it; releasing music is becoming less and less of a central role of labels these days. Merchandise, radio shows, club events, playlists, live shows, TV, radio, film synchs and so on, have become more and more vital to a label’s survival. Radio has always been in my blood in particular, and as well as the Wah Wah Radio Show that we broadcast as a family every month, I also host shows on Soho Radio and Netil as well as regular guest spots and interviews on Worldwide FM, BBC 6Music and wonderful stations big and small from across the globe. For me radio is the ultimate, intimate medium. It’s a huge privilege to be able to broadcast words and sounds that mean something to me, and connect with listeners far and wide. At it’s very best it gives you a sense of freedom, and in the case of the label, is a simple and powerful way of getting new audiences to understand where the label is coming from and where we, the people who run it, are rooted. \\ What does 2019 look like for Wah Wah 45s? BUSY. It’s obviously going to be our twentieth anniversary next year, and having taken our foot off the pedal with releases a little in 2017, and with live events this year, we’re back with both on full throttle to celebrate two decades of survival in this crazy business. We’ve got two more new signings to announce (one is a UK-Africa cross-pollination that’s something very special indeed, and the other is our first foray into signing a producer who makes straight-up dance music). Plus, we have the debut album from Middle Eastern left-of-centre electronic jazz outfit Time Grove, and new LPs to come from Southern soul boys The Milk, unclassifiable Mancunian legends Honeyfeet, and space-hop stalwarts Paper Tiger. Add to that new music in the works from Dele Sosimi, Resonators, Soothsayers and Hunrosa as well as a couple of surprise returns, and you can see why I need a G&T every time I think about 2019. Then there are the events of course, including a new London Wah Wah DJ residency, more live events and 20th anniversary specials culminating in a huge event in the autumn of next year, to be announced. Gulp.